The Texas Commission on Public School Finance will meet for the first time this week as it develops legislative recommendations for overhauling the state's beleaguered system for funding public education. The Texas Commission on Public School Finance will meet for the first time Tuesday morning as it starts to develop legislative recommendations for overhauling a rundown system for funding public education. The meeting, which is open to the public but only hearing invited testimony, will be held at 10 a.m. CST on Tuesday in Room 1-104 in the State Board of Education's William B. Travis Building in downtown Austin. According to the meeting notice on the Texas secretary of state's website, the agenda will include discussion about the school finance legal framework, Texas' student populations and educational outcomes for students in the state. It will be accessible by livestream on the Texas Education Agency's website. The commission was created by House Bill 21, passed during the 2017 July-August special session. The panel is expected to deliver a report by Dec. 31 with recommendations for legislators on overhauling a school finance system that has been the subject of statewide lawsuits for decades. Chandra Villanueva, a policy analyst at the left-leaning Center for Public Policy Priorities, said the commission should work toward doing a thorough study of what it takes to educate Texas students. House Speaker Joe Straus, Lt. Gov. Dan Patrick and Gov. Greg Abbott each chose four members for the commission, and the State Board of Education picked one of its own members to serve. "The Texas Supreme Court's opinions in the most recent school finance lawsuit reflect a broad agreement that the current system is flawed, as well as substantial disagreement as to what to do about it," said Scott Brister, chair of the commission and a former Texas Supreme Court justice, in a Dec. 22 letter to members. Abbott said he is betting on the commission's findings to figure out how to help increase funding to schools, as he unveiled a plan last week to prevent cities, counties and school districts from drastically increasing local property taxes. He said he didn't know if his plan would negatively affect school districts' ability to raise money but that the state would have to play a role in helping them if it did. "School finance is broken, and that's exactly why I wanted to pass during the special session a school finance commission that will have robust solutions to fix school finance," he told reporters last week. The commission was created after House and Senate education leaders clashed during the legislative session on how to best address school finance. 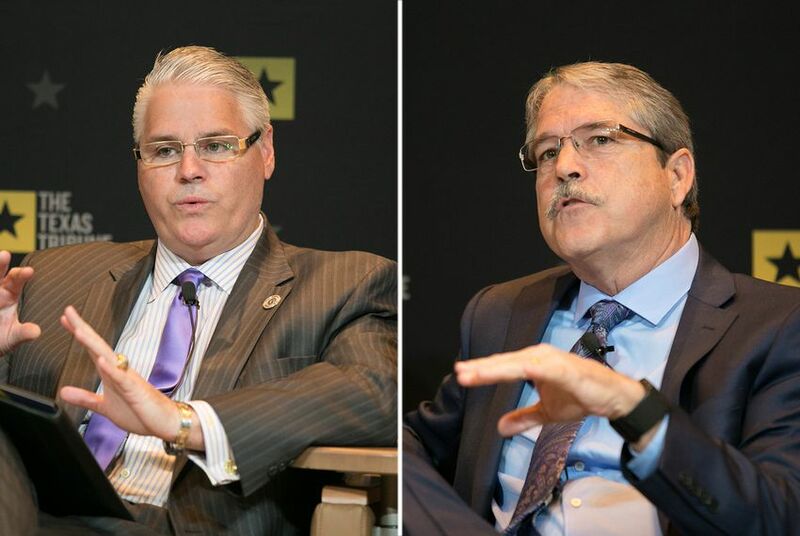 Rep. Dan Huberty, R-Houston, who chairs the House Public Education Committee, advocated for an immediate $1.8 billion fix, which would have edited some of the outdated formulas for funding public schools and provided most school districts with more money. But Senate Republicans argued during the special legislative session last summer that the House's plan was too costly and not well researched. Senate Education Chairman Larry Taylor, R-Friendswood, compared accepting the House's proposal to driving a broken car into the ground. He advocated for a commission to study the best ways to reform the system. Ultimately, the House lost the battle. Both Huberty and Taylor are on the commission, along with four other legislators.